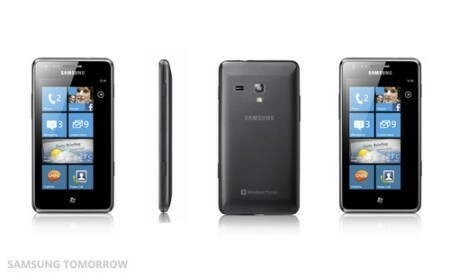 Samsung isn’t providing any pricing, but the phone’s specification suggests it will compete with Nokia’s low-end phone, the Lumia 610. That’s possible thanks to an update to Windows Phone 7.5, which can run in less memory than the previous version — although developers may have to optimize their apps to run in just 256MB of RAM. Since the specifications are so similar, the price of the two phones should be close, and the Lumia 610 is priced at about $246. “Strategically, Android is where Samsung puts all its focus, but the company doesn’t want to put all its eggs in one basket,” said Roberta Cozza, principal analyst with Gartner.